We’re always told: “Don’t fight the Fed”. But have the Central Bankers gone crazy? And are there actually limits to what Central Banks can do? At the moment everybody is looking for them to “save” us. Which is bizarre because they helped cause the crisis we’re in. So I wonder if and when the tide will turn. Will we, in the months and years to come, re-visit the policies Central Banks have pursued and judge them counter-productive? If we do, these ETF trades will work our well. In the meantime it’s a case of patiently waiting to see if they trigger. Want to use this Infographic on your website? Hope you had a good week’s trading. Well, something quite different in today’s video, I want to talk about Central Banking. You might have noticed on the website I’m getting quite interested in the bigger picture and some longer-term trades, two of which worked out quite nicely in the last several months. We had short Aussie dollar a couple of months ago, long crude in the last few weeks and the feedback from those videos has been absolutely tremendous, so thank you to everybody who sent good wishes about those calls. They’ve worked out nicely so far so we’ll keep tracking those going forward. But, there’s some interesting plays in the bigger picture and around what the Central Banks are doing. I’ve got some ETF ideas that I want to put forward. Not things that are going to happen immediately but I’m kind of looking at over the next kind of several months. So let’s start. First thing to say, Emini-Watch is about two things. First of all, you need to take control of your financial future. Don’t rely on financial planners, brokers and so on. Sorry, I know Emini-Watch has a number of financial planners that follow the site, but sorry to say, I think everybody should be looking after their own money. You need to educate yourself. The financial markets are just jargon, stopping you understanding what’s going on. And access has never been better. 30 years ago the man in the street didn’t have a brokerage account but now everybody has access to extraordinary information and access to trade a whole range of different markets. The second thing that Emini-Watch is about is don’t assume the old rules apply. In my view, we’re through the looking glass. Everything changed after the global financial crisis and what did work over the last 30 years might not work over the next 30 years. One of those rules of thumb was “Never fight the Fed”. I’m just going to put forward some potential trades that might be against that traditional mantra of not fighting the Fed. First, banking is inherently an unstable business model for a few reasons. First of all, it’s based on fractional reserves, which means you lend more than you borrow. So you have to put down something between 8 and 12 percent capital down and you lend out a multiple of the capital you have in the customer accounts. The second thing is there’s an asset liability mismatch, which means that you’re borrowing short-term – so your deposits are at-call money. So if they’re checking accounts, they’re can go over night or they’re up to 90-day money where the money can leave after 90 days. But most of the lending happens long-term. Whether it be business loans, auto loans, mortgages, those are longer-term loans. So there’s a mismatch between the timing of your liabilities and the assets that you have. The third thing is that bankers are human. They used to be known as more conservative characters during the ’70’s and ’80’s but that’s gradually gone away. They get caught up in the hype, too, so during cycles they can overextend. When you put those three things together what you have is an inherently unstable business model where a bank overextends at the top of the cycle, the borrowers pull their money and that gets magnified in terms of the impact on the business because of the fractional reserves. What you end up with is a bank run and depositors flee. Now because of that kind of inherent instability in the banking model, you need a Central Bank. There are various functions that a Central Bank performs that I view as extremely good and necessary. First of all they set the capital and reserve requirements. So the type of capital you have to hold and the amount of leverage that you can have in the business is set by mostly these days, international standards but certainly the local Central Bank is responsible for that. The second thing is supervising the banks and to find out who is actually running into problems. Then once the banks do run into a problem, resolving that bank failure. That’s actually a function that’s carried out in the US by the FDIC but, in effect, it’s a responsibility of the Central Bank. That’s winding down that bank, paying back the depositors, and making sure that the good loans are passed on to stable banks and then working out the bad loans in terms of the equity and bondholders in that bank. So fairly straightforward process, but you need someone to be able to come in and resolve those banks. Lastly, because these things happen in cycles, during quiet periods a few bank failures happen at a time. But during big cycles, when big cycles start to turn, you get a large number of banks going through this resolution process and that could lead to a potential systemic collapse. Now, because there’s a risk of systemic collapse, the Central Bank has is to be the lender of last resort. So as depositors are pulling their money out, the banks are becoming unstable, the Central Bank lends against the assets of the banks and they make sure they shore up the banking system. Then the last thing, a very small function they play, is issuing currency. So those are the five functions of a Central Bank. I think they’re all well and good and we need that because of the inherently unstable nature of the banking business. Now, Central Banking has morphed over the last century. These are the functions that they have taken on, which I don’t believe are necessary. The first thing is setting short-term interest rates. This, in many people’s mind, is the function that has become the Central Bank’s only function, the most important function, setting short-term interest rates. Well, in every other market that we have, markets set rates and prices. Why do we need a Central Bank to set the rates? Markets are perfectly capable of setting rates themselves, so we don’t actually need them to do that. The second thing that they’ve done in this last round is quantitative easing. This is enabling endless government debts. So when governments go into deficit spending, they issue more debt, more government bonds. And if there’s not someone picking up, buying those government bonds at a reasonable interest rate, the Central Bank steps in. The Central Bank, the Fed, in this case in the US, has stepped in and driven down those rates and allowed the federal government to deficit spend endlessly because they’re picking up about 65% of all government debt that’s being issued right now. Now, the Japanese have been doing this for a decade or so. It was viewed years ago as the Nuclear Option. It was the very, very last resort. This is if you had to hit the button, this is what you do. Well, now it’s just become matter-of-fact and everyday. Extraordinary. The next function that they’ve stepped in to do is artificially support markets. So, in this case, we’ve got the GSEs, these are “government sponsored entities” – Fannie Mae, Freddie Mac, which is the mortgage market. The Central Bank has been propping up the bonds of those institutions and enabling additional lending by banks that then offload those mortgage loans through Fannie and Freddie and those bonds are being picked up by the Central Bank. So, effectively, they’re artificially supporting the housing market in the U.S. But you could say there’s a whole heap of government sponsored entities. Some of the car companies in the last cycle were also supported by the government and to some extent the Central Bank lending to GMAC, the finance arm of General Motors. Then lastly, and this I think for me is the most egregious role that the Central Banks have started to play in the last cycle, which is manipulating foreign rates. It’s all well and good to have foreign reserves, that’s keeping currency reserves on hand to enable the smooth functioning of the Forex markets but we’ve got to a stage where we’ve got Central Banks around the world placing bets, in not just their domestic markets but the foreign markets. So they’re buying foreign government and corporate bonds and equities. In this case, we’ve got the Swiss Bank, I think, the Swiss National Bank has been the most egregious in terms of what it’s doing. It’s buying Euros by the truckload and it’s buying high quality, high dividend yielding equities in Europe. It’s buying bonds of those high quality corporates and it’s also buying government debt of all of the European countries, including some of the periphery countries that are quite unstable at the moment. So, going back, these are the functions that I think the Central Banks are needed for and their mandate has just been getting bigger and bigger and it’s gotten involved in a whole bunch of things that I just think aren’t required that we’re effectively central planning. The Central Bank has become the central planner, and I think that one of the things that we’ve learned with the demise of Communism is central planning does not work. I’m a big believer in free markets. Free markets are not pretty but they’re beautifully efficient in terms of allocating capital and making sure prices are set correctly. Eventually, intervention leads to market rigidity and that rigidity eventually will break. We saw that famously with George Soros. The Bank of England was trying to fix the pound versus the European currencies. Soros saw that as an opportunity, made his billion dollars by betting against the Bank of England because there was rigidity put in between those currencies that eventually broke. The second thing is that natural systems eventually reach an equilibrium. This is a bigger force than us, this is mother nature happening, so eventually things will reach an equilibrium. Then bad things happen, get over it. We don’t need the government looking after us. I’d much rather have us have a small series of bad things happen over a period of time and everybody get used to those, than have no bad things happen over a period of a couple of decades, all of a sudden having one climactic, horrible event where we have a collapse in the system. Much better kind of to ease out the problems in the systems with having small crises every so often, rather than building everything up into one huge monster crisis. Lastly, whenever I hear the phrase “unintended consequences” or what the CIA used to call “blowback,” you know, a lot of the media pundits talk about the unintended consequences of the Fed’s activities and the Central Banks around the world. Effectively when I hear that what they’re saying to me is, “It feels bad, I just can’t put my finger on exactly why it is bad, but something bad is going to happen”. I think that’s right, so though all of these things are about central planning and they don’t work and eventually they will end in failure. Have we reached a limit? And how can we profit? The question is when will they end in failure, and have we reached a limit. Certainly we’ve seen private debt maxed out over the last cycle, maxing out in 2007-2008. Now subsequently, that private debt has come back a little bit and stabilised but it’s not come back down to really low levels or normal levels, it’s just come off of an extremely high level. In the meantime, we’ve got government debt, we’ve got state, municipality and sovereign debt being ratcheted up to enormous levels and now 100% of GDP is normal in terms of the debt that’s been amassed by government. We’re also seeing marginal productivity of debt, going negative. So for every extra dollar of debt, it is increasing the GDP or the growth effect by less than that dollar, so we’re taking on the obligation of paying off that debt over time. But the positive impacts of using that debt are less than the cost of the debt itself. Then Central Bank balance sheet assets have now grown to, in the case of developed countries – we’re talking about the Bank of England, Bank of Japan, the Fed, ECB and so on – 20 to 35% GDP. In the case of the Swiss Central Bank, we’re up to 100% GDP. So the levels that we’re getting to are really starting to be noticeable. Lastly, a couple things in terms of taxation. I think we’ve reached a max in terms of taxation levels and regulation where they’re actually starting to hinder economic growth going forward. Then we’ve also got, because of those large taxes and the large social systems that we’ve built up, and this is the “benefit culture” that they talk about in the U.K. So we’ve got a culture of people that are living off the state, and in the US, 47% of people are not even paying any income tax, so we’ve got half of the population is being productive and adding to the economic growth of the system and yet half of the people are living off the state and not adding to the productive growth of the economy. The question is have we reached a limit in terms of all of these things. To track the Central Banks and maybe some of these things starting to go wrong or unwind, I’ve put together this handy little infographic called: “How to Bet Against the World’s Central Banks”. It’s got a little bit of an intro here that I just went through on my slides. Then what I’m going to do is put forward five ETF ideas, things to track over the long term to see if some of these Central Bank premises are starting to break down and reverse. They’re in chronological order inasmuch as I’ve put forward the ideas that are likely to happen first at the beginning and then the ones that are less likely at the end. The first one is for the Bank of Japan and this is to short JGBs or Japanese Government Bonds. The ETF to track on this one is JGBS. Now in all of these ETF ideas I’ve used just the straight ETF, no leveraged ETFs. I’ve got some really useful feedback from people, emails over the last several weeks talking about the problems with leveraged ETFs so I’ve stuck with the straight ETFs here and this one is short JGBs. 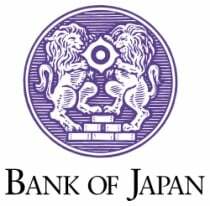 The Bank of Japan has been quantitative easing, they were the first to do this, started in 2001. Now the Japanese government debt as a percentage of GDP has reached 200%. At the same time as the debt ratcheting up to just enormous levels, we’ve got an ageing population. They’ve got, because of that ageing population, fewer working Japanese. There are very few immigrants into Japan and they’re having to support, the workers in Japan that are left, are having to support a lot larger retiree base and all of this government debt that’s been built up over the last 30 years. So the question is, when the confidence goes in those JGBs, with interest rates go up, this ETF should also rise as well. You can see over the last couple of months we’ve had the first spike in a long term decline in this ETF and the interest rates in Japan are starting to spike up a little bit as the confidence in those JGBs is questioned. Now this trade is also called the “widow-maker” because this is people betting against the Japanese government over the last 15-20 years or so and they’ve been wrong, wrong, wrong every time. But, at some point, it does work. This is like “never fight the Fed” you know the “widow-maker” trade may actually end up being one of these monster trades so it’s something to look for and the ETF to track is the JGBS. The second one, I’ve talked about Swiss National Bank a couple of times in the video so far because what they’ve been doing is just extraordinary for a relatively small country. The size of the Swiss National Bank balance sheet now is approaching the size of the Swiss GDP. So, they have printed Swiss Francs to the tune of 100% of GDP in order to buy Euros. When we had the Euro collapse of the last couple of years, all the money in Europe fled Euros and went straight into Swiss bank accounts. So people were opening up Swiss bank accounts and a lot of other bank accounts around the world had money flowing in, to Singapore, Hong Kong and so on, just to escape or get to some safety because the Euro was collapsing. Now, Switzerland, being geographically proximate to all of those countries was an easy place for the money to flow and the Swiss Franc went ballistic, went nuts. What the Swiss National Bank did at that time was intervene in the Swiss Franc and they bought Euros in order to stabilise their currency and bring their currency back down to, I think the ratio is about 1.2 to the Euro. You can see on this chart over the last year or two, year and a half, they’ve kept that currency pretty stable versus the Euro, but at some point that’s not going to work. They’re going to have to either exit that trade, there’s a limit to how much Swiss Francs they can print in order to keep that currency in check. The assets that they’ve bought, frankly, are just extraordinary. They’ve bought like I said, corporate bonds, corporate equities. They’ve bought government bonds, not just the more stable, the German bonds, they’ve bought the periphery countries as well, high yields. So, the ETF to track in that case is FXF, which is the Swiss Franc versus the U.S. dollar. After just over 3 years, the Swiss National Bank abandoned it’s peg against the Euro. The Swiss Franc immediately appreciated 30% against the Euro. In the immediate aftermath, three forex brokers and one hedge fund announced they had gone bust (Alpari, Everest Capital, Excel Markets and FXCM). In addition, at least $500m in losses were announced by brokers and banks (Deutsche Bank, Citibank, Interactive Brokers, etc.). Video update: What the Heck Just Happened to the Swissie? I am sure this is just the start – more losses will be announced in the coming days and weeks. And who knows what the impact on the Swiss National Bank will be. They might need to be re-capitalised by the Swiss Government. Next one, Bank of England. Now, here we’ve got a new Central Banker. Mark Carney comes into the position at an interesting time when quantitative easing has gone quite a long way in the UK. His views on whether it should be pursued or not, are kind of unclear. I’ve read stories going both ways. If the UK starts to come off quantitative easing, rates will rise. So here we’re tracking an inverse ETF which is shorting UK gilts, being the government bonds in the UK. If interest rates start to rise, those bond prices will go down. So this trade is shorting UK gilts and the ETF to track is XUGS. Some of these ETFs are a little difficult to track as they’re not traded on US exchanges. But you can use Google Finance to get charts and trade them through a good cross-border broker. Next one, European Central Bank. So, here we go, Mario Draghi. Now, the European Central Bank is an interesting one because they are not directly allowed to buy government bonds of European countries. So they are not allowed, officially, to partake in quantitative easing. But, they’ve gotten around it by lending to all of the major banks in the Euro zone with extremely loose capital requirements and given the money to those banks around Europe to buy the debt of different countries. So we’ve got German banks, for example, buying the debt of the periphery countries, so they’re buying Spanish bonds, Italian bonds. So although directly, the European Central Bank has not bought those government bonds, it has enabled quantitative easing and all of those bonds sit on the balance sheet of the European banks. Now if the policy of the ECB actually backfires and they’re not able to keep the Eurozone together, what we could have is a splitting of the Eurozone into countries that want to keep the Euro and those that don’t want to keep the Euro. Now, that could play out in a couple of ways and has different implications for the Euro. If the periphery countries leave, so for example, this is Greece, Ireland, Spain and so on, leave, you’re left with the stronger nations in the Eurozone and the Euro would actually strengthen. However, the flip side of that is that potentially the only strong country left is Germany and that it would be administratively easier if Germany actually left and went back to the Deutschmark and everybody else was left with the Euro. Now in that case, the strongest player would have left and been left with the weaker players still holding onto the Euro, so the Euro would actually go down. So it’s bimodal, if you like, the Euro could go up or the Euro could go down. I think the more interesting play is to track what the French will do. The French finance system is extremely large. French banks are over-sized compared to the size of their economy. They make up a large percentage of the CAC40, which is the stock market index for the French markets. So I think the interesting play to look for here is rather than track what the Euro is doing, and we can’t track ECB bonds because they don’t really exist, the thing to track is short the French index and there we’ve got an ETF called SHC. So you might see if the Eurozone starts to fall apart, that the French banks will be badly hit and that’ll bring down the French index and short the CAC40, which is the French index. We’d be monitoring the ETF trade SHC. Then lastly, our good friend the Fed, with Ben Bernanke, who’s going to be written out of the picture come December-January. Don’t know who’s in, whether it’s going to be Larry Summers, Janet Yellen, it’s going to be interesting. Here, this is the big long-term one that we should be tracking over the next several months or years, frankly. This is if the Fed takes it’s foot off the gas, if it stops quantitative easing, rates rise. We’ve certainly had that in the last couple of months. We’ve definitely had the treasuries fall off their peak and form an important inflection point, we’ve had a 1% move up in rates. The ETF to track here is short US treasuries and this one is TBF. You can see over the last couple of months, certainly the volume’s increased and this one’s started to rise. Whether we’re going to have a push back down in rates if we have a little bit of a correction in the equities market that could drive money back into the safety of bonds, drive rates down again and so this would correct back down and treasuries would go up for a while. But if we’ve reached the end of a cycle in terms of rates going down, this is the ETF to track going forward. So there we go, five ETF ideas to look at going forward. Now from time to time I’m going to be checking what these ETFs are doing. Because a couple of them are traded in overseas exchanges I don’t have direct access to the data with TradeStation, what I’ve done is set up a little portfolio here in Google finance. So these are the five ETFs I’m looking at going forward. Not suggesting we take any of these trades. They’re just in a “wait and see” mode at the moment. If anything moves it’ll be the short JGBs trade that’ll happen first. That’s the Hugh Hendry type trade. That’s the one that’s likely to hit the wall first. But if that domino starts to go, then we might see some rapid changes in the other ones with the questioning of Central Bank policy and what is actually possible to do. So let’s wait and see. Could be interesting and I’ll keep updating the Emini-Watch followers from time to time on this portfolio.